When you have a life that’s always on the go, you need a bank that follows along with you. UKRFCU’s Mobile App is your own personal bank in your pocket. It’s a fast, safe, and convenient way to track your spending, transfer funds, pay bills, and more. Banking at your fingertips. 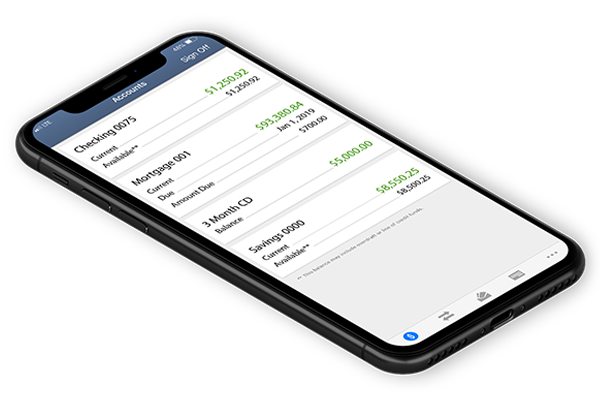 Smart, full-screen displays that highlight your accounts and transaction history. Quick access to key tasks such as Mobile Check Deposit, Transfers, and Bill Pay. Click an image to learn more about the service. In order to qualify for UKRFCU Mobile App, you must have an Online Banking login. Sign up for Online Banking first, to be able to utilize our app. Click below to sign up for Mobile Banking. Forgot login/password for Online Banking/Mobile Banking? I deposited a check through Mobile banking. When the funds will be available? Generally if you make the deposit before 4 pm ET Monday-Friday the check will be processed to your account the same day. The general UKRFCU funds availability policy applies for mobile deposits.